From our Bespoke Collection of Dining Tables - where you can choose the finish colour - is this classic Victorian Rectangular Dining Table supplied with two leaves each of 46cm. 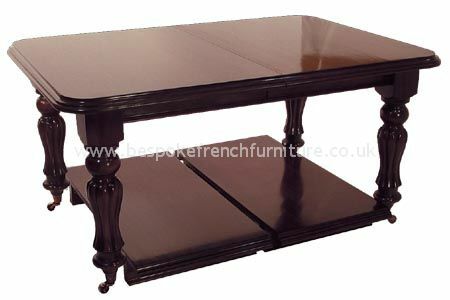 It is handcarved from solid mahogany and finished in the UK resulting in an exceptional piece. Available in 2 sizes. 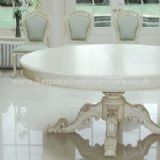 The price for the table shown here is an example of a previous order and applies to similarly finished pieces. Should your order require more work then the price will need to be adjusted accordingly. Please contact us for a quote. We also have a large range of dining and carver chairs to complement this piece.